Wagner Tours Wedding and Weddings has been arranging weddings in Ravello since 1989. We don't like to spend more words about our ability, in our website you can find photos that were taken during some of our weddings. A symbolic wedding leaves you free to express any type of religion without the hassle of required documentation. 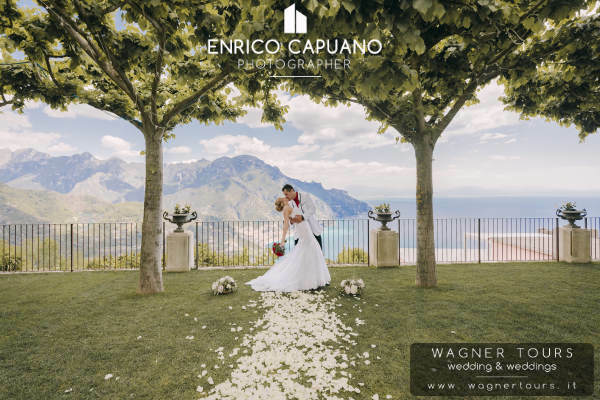 Romantic and unforgettable symbolic weddings in Ravello can be easily planned with the local assistance of Wagner Tours Wedding and Weddings. Are you dreaming a symbolic ceremony in Ravello ? .. Discover how ho get married in our village, your dream is starting contacting us info@wagnertours.it your real local company. 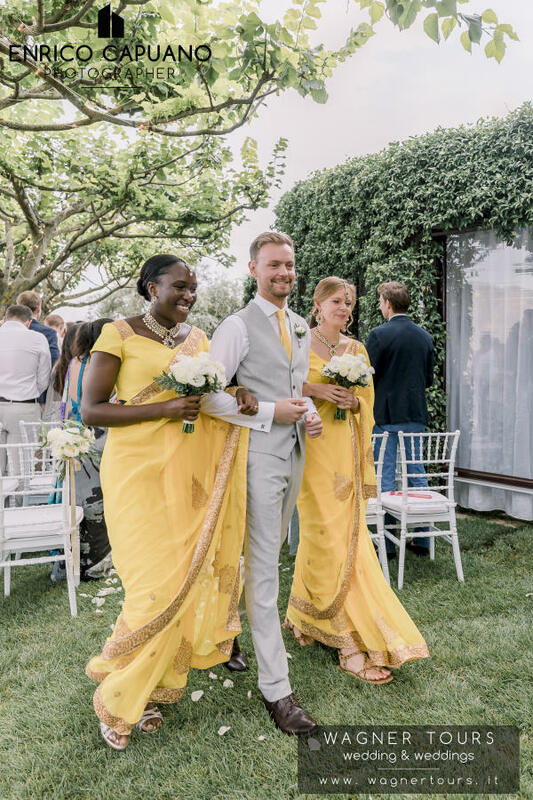 This type of marriage ceremony '' Symbolic Wedding in Ravello '' does not require any kind of documentation and can be easily organized with the help of a local company like Wagner Tours weddings and weddings. The wedding ceremony can be completely personalized, has no legal validity and can be performed either by a local celebrant, a minister or family member of the couple.The ceremony will be very personal and unique and you will not need to complete any paperwork requirements. We suggest thisk ind of ceremony to couples who have already had a civil wedding in their country. The symbolic or blessing or renewal wedding ceremony in Ravello ( Italy ) is becoming more and more popular every year. 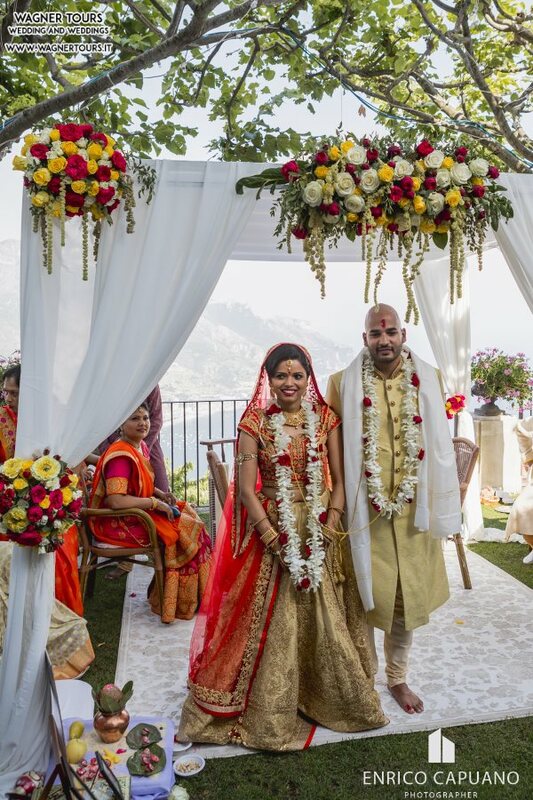 It allows couples complete freedom to plan their wedding ceremony wherever and however they may wish based on their preferences, cultural background and values. ( no paperwork is required since the ceremony is not legally binding) Since you are not bound by any restrictions you can choose a formal or informal atmosphere and with our help your format can be either traditional or as creative as we are ! 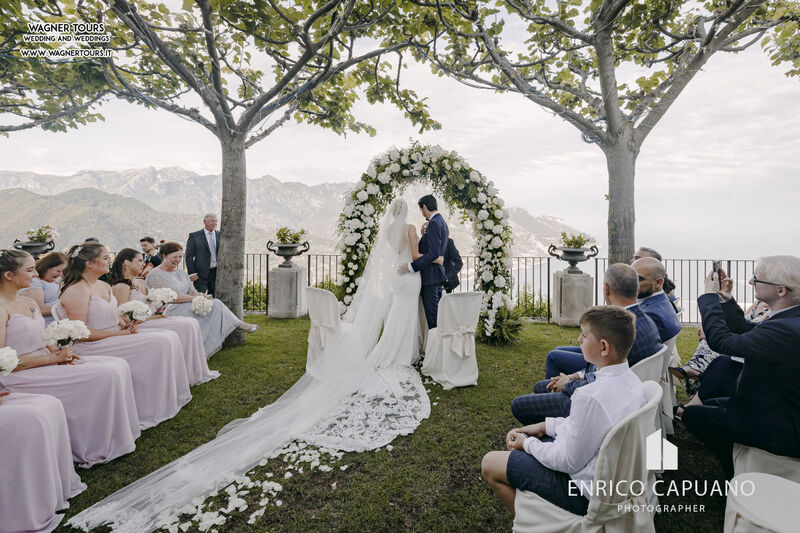 Symbolic wedding in Ravello - Romantic and unforgettable symbolic weddings in Ravello can be easily planned with the assistance of Wagner Tours wedding planners! Ravello with its luxuriant gardens, enchanting villas, romantic atmosphere and stunning vistas is a perfect destination for couples wishing to have a romantic outdoor ceremony in one of the most picturesque villages of the Amalfi Coast . Mario Capuano ( in the photo ) is able to perform your Ravello Wedding Dream with charm and ... over any dream !!! 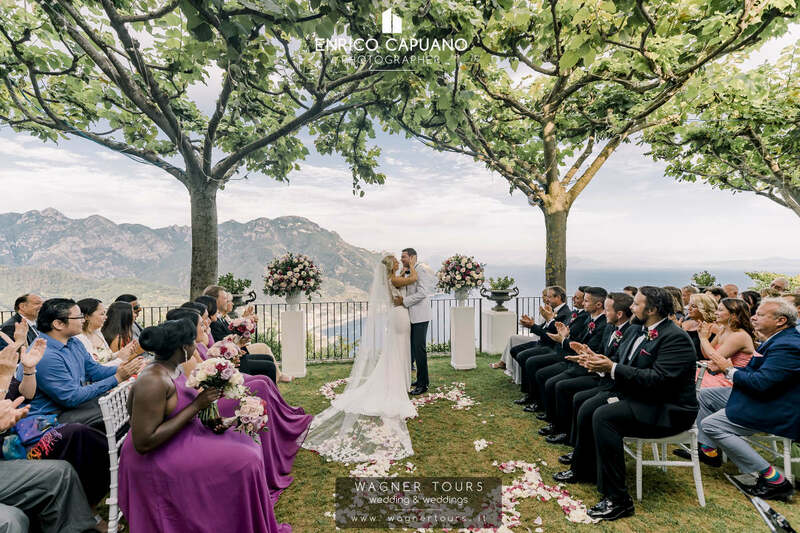 Your Wedding in Ravello on the Amalfi Coast Italy .. your wedding dream is starting contacting us at info@wagnertours.it a real local company . Your Ravello's wedding dream is starting contacting us info@wagnertours.it Your Local Wedding Planner in Ravello.